Hey guys! 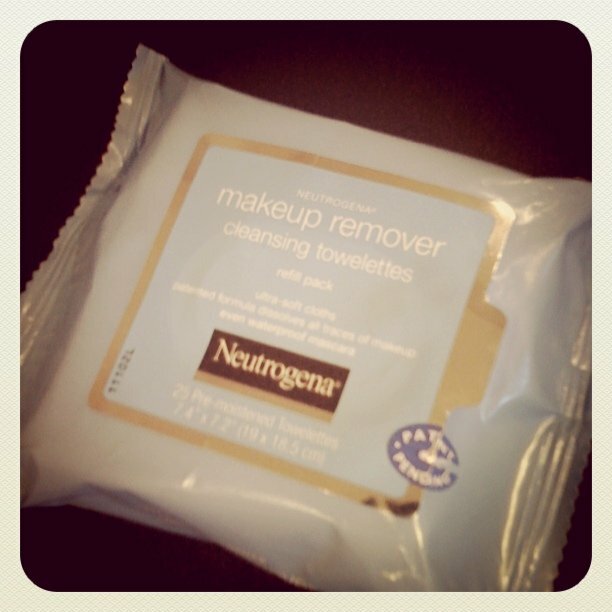 Just a quick review today - on the two Neutrogena makeup-removing products. I wish I had these sooner! In Malaysia, I was always over at the boyfriend's place till late at night (his friends are quite the night owls), so I'd usually go upstairs and to sleep when I got too tired, then he'd drop me off at home after the party. I never sleep with makeup on, so that meant I had to lug my makeup remover around with me in my handbag all the time. This could have easily solved my heavy-handbag problems. It removes makeup easily and effortlessly, and one cloth is definitely more than enough to remove even heavy makeup. One thing I didn't like about this towelette was that it stung a little, and left my face feeling a bit raw after use. It stings enough for me to not want to use it everyday (which is perfectly fine because 25 towelettes a pack doesn't last very long), but definitely not enough to discourage me from popping it into my handbag when I know I might be out late. At the moment I'm using this product whenever I'm out too late at night and am too tired (or tipsy *oops*) to go through my 2-step cleansing routine. 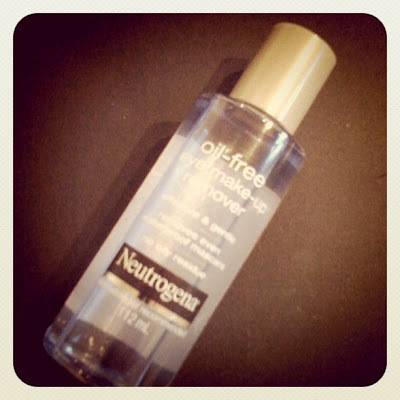 I love this little gem because it doesn't leave an oily residue behind after removing makeup - just like the bottle says. I've been searching for something like this because I need a quick fix for when I make mistakes whilst putting on my makeup sometimes. I use this mostly with a cotton swab to clean up under my eye after I've done particularly heavy eye makeup, and on a cotton bud when I'm cleaning up eyeliner or took my eyeshadow too close to my brow. This removes my makeup mistakes easily, and I don't have to do much in terms of fixing my base for makeup after. I really love that this doesn't leave that oily, sticky feeling behind. Highly recommended! The Makeup Remover Cleansing Towelettes retail for AUD7.99, and the Oil-Free Eye Make-up Remover retails for AUD (112ml).